The OLD SENTIMENTALITY said that anybody who was famous was a celebrity and therefore possessed glamour and excitement. It didn’t matter what we personally thought of them. We idolized movie stars because they were movie stars and if it was a rotten movie, so what? 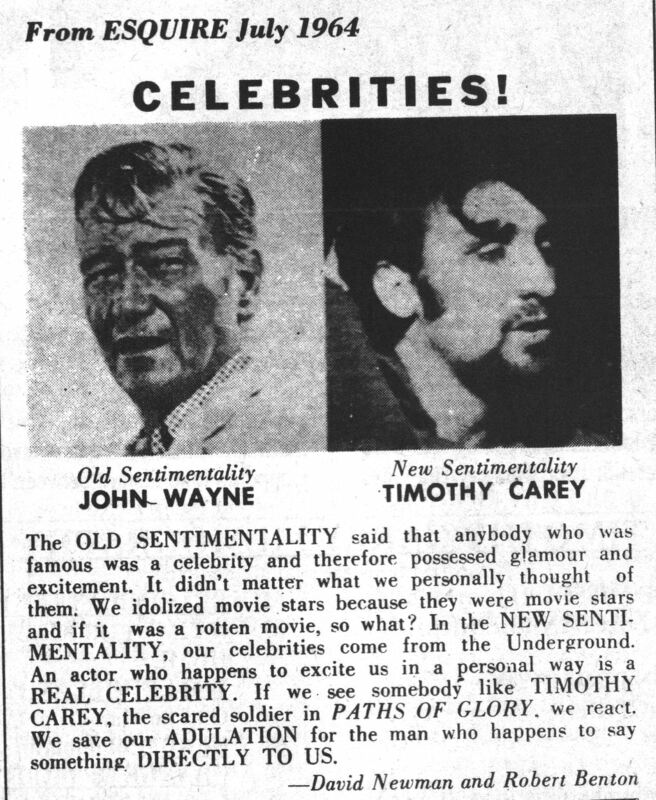 In the NEW SENTIMENTALITY, our celebrities come from the Underground. An actor who happens to excite us in a personal way is a REAL CELEBRITY. 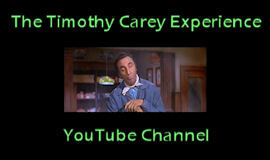 If we see somebody like TIMOTHY CAREY, the scared solider in PATHS OF GLORY, we react. We save our ADULATION for the man who happens to say something DIRECTLY TO US.